These edible building blocks are handmade and each one has a letter on to spell out the child's name..
My own to quality edible glue. 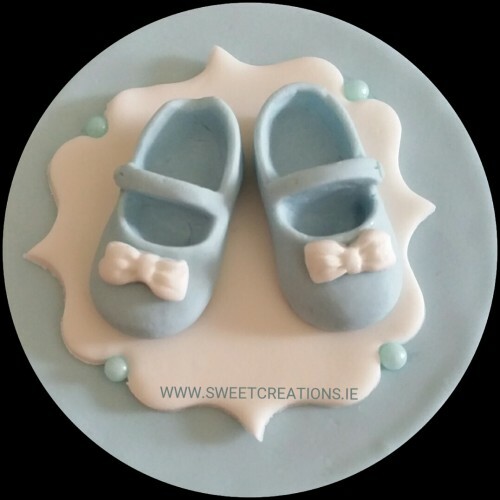 Suitable for model making and gluing handmade topper and your sugar c..
Gorgeous detailed edible buttons. In a pack of 10 mixed sizes, €3.55 per pack. Available in pi..
A handmade baby shoe plaque. Made with layers of sugar, and a pair of edible baby shoes and pearls on each set. Available in blue, pink and white. €4.25 each.